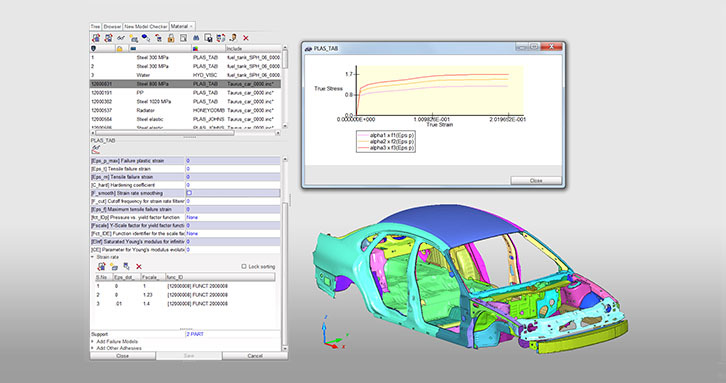 Altair HyperCrash™ is a CAE pre-processor developed to support RADIOSS, Altair's non-linear finite element solver. 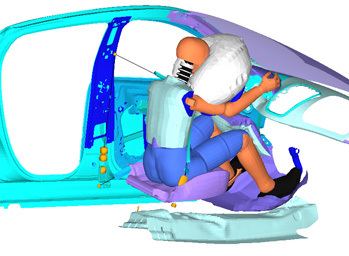 HyperCrash provides a comprehensive environment to study occupant simulations and other requirements of the crash-safety domain. HyperCrash Introduction Video Watch this quick introduction video to learn how HyperCrash can help you. 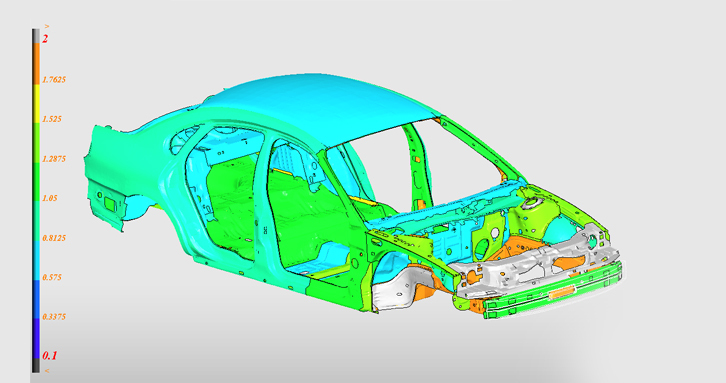 Fully supporting RADIOSS and LS-DYNA solvers, combining the power of an intuitive GUI with an automated set of proven crash and safety modeling procedures, HyperCrash enables users to realize unprecedented time savings while achieving high-quality, accurate results. 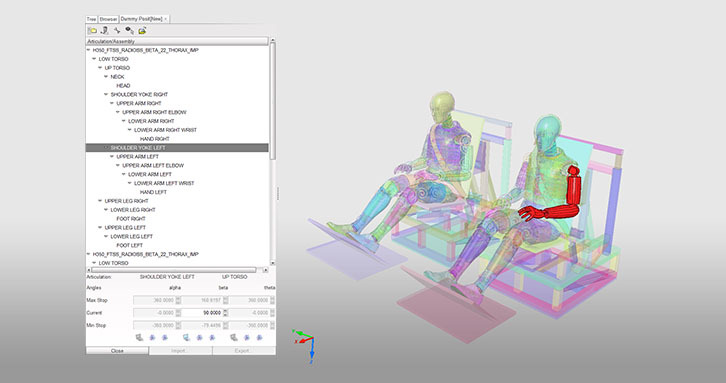 HyperCrash provides a highly tailored user interface for the creation, editing and set-up of crash and safety models. This streamlined interface is easy to learn and eliminates common errors by providing a powerful and solver-dedicated model checker. 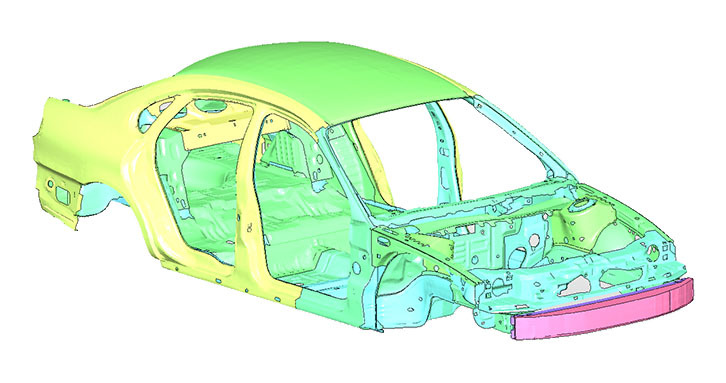 HyperCrash is architected to pre-process multi-million element crash models efficiently. 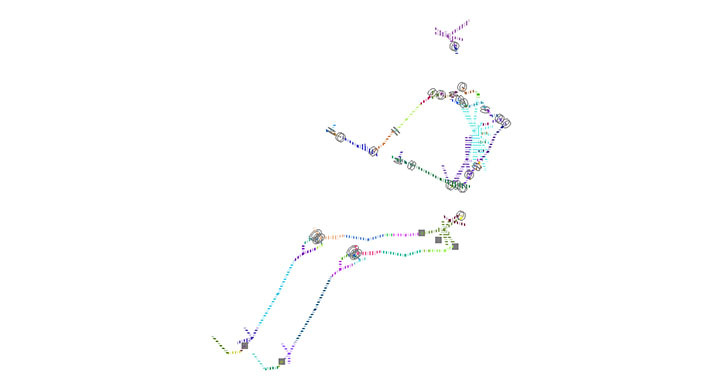 Database intensive operation such as model checking, de-penetration, mass calculation can be done quickly and accurately saving the user time. 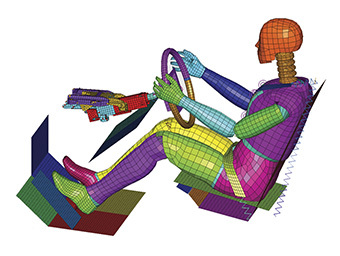 Safety tools such as seat belt routing, dummy positioning, and seat deformation are available and easy to use. 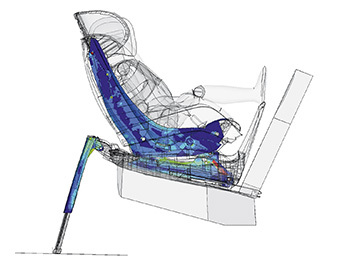 The complete setup can be done within HyperCrash, reducing the risk of error and improving efficiency. For modification of one or multiple parts HyperMesh can seamlessly be invoked during a HyperCrash session. The updated part can be published back to HyperCrash with only one mouse click. 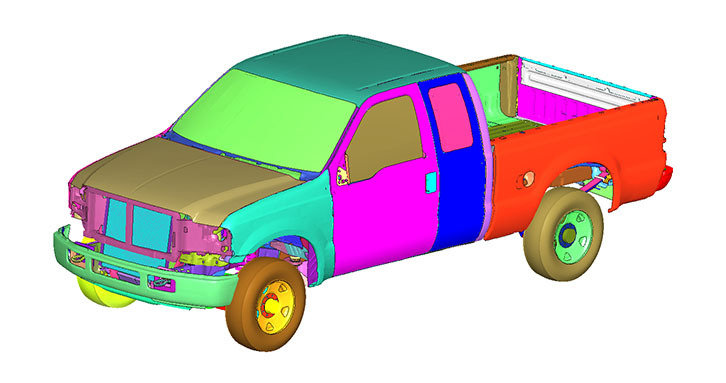 Display the center of mass locations for each part, rigid body or a complete model. 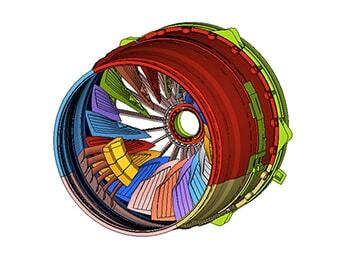 Check and report the mass, inertia and center of mass location of each part, component and rigid body of a model. 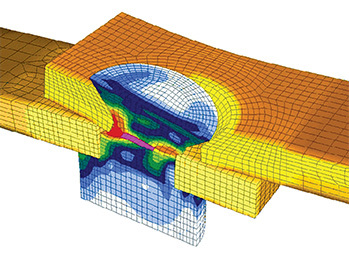 Automatically fit the finite element model mass of each part based on the mass of the CAD part; mass is created if necessary.